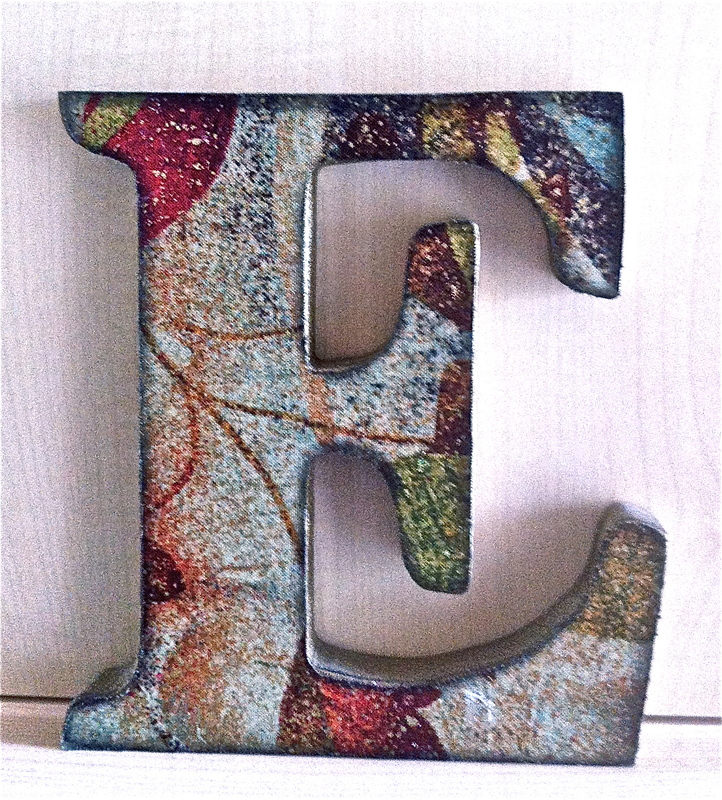 Initials are quite widely available from craft stores. While I've used papier mache ones in the past, I've found that the wooden variety are much better to decorate. They can, of course, be painted but I used one of my favourite fabrics on this one - about 6.5" x 5". It's an easy technique. Trace the outline of the letter onto bonding material (WondaWeb etc. ), iron this onto the fabric, then cut around the shape. Be careful to trace so that the fabric is the same way round as the letter! Then peel off the background, place the fabric very carefully and iron. All this after painting the surfaces which won't be covered by the background. These make great, personalised gifts. Of the ones I've been commissioned to do, my favourite was a set - made for a couple called Mel and Simon - ie their initials, including an ampersand (&). Whichever way they decide to display them, I'm sure they cause amusement!